Just under a year ago, I heard about a fantastic new pattern company that had started up, right in our beautiful little valley. As I was about to leave the valley to spend the winter in Toronto, I wasn’t able to meet the designer until our return, but I made contact after enthusiastically buying up all their patterns to date. I found even online the personalities of Morgan and Matt warm, intelligent and interesting and I quickly let them know that we would be friends upon my return. That’s the kind of thing I do- send emails to people and while trying to seem as non-creepy as possible, try to strike up friendships. Let’s call it an extroverts approach to the internet. Well, since my return to the valley this summer, we’ve become fast friends. They’ve spoiled me with their fantastic cooking, we’ve spent Fridays sewing late into the night (and deep into the red wine) and we’ve even found an occasional enthusiastic babysitter in Morgan. My four year old daughter immediately warmed to her and jumps for joy when I say she gets to spend time with Morgan. All this to say we have bonded and formed what I hope will be a very long and strong friendship, but also a great opportunity to work with some people I admire tremendously. In our evenings of sewing, we talked about the idea of my contributing to the Thread Theory blog on a regular basis. In part to add to the voice of Thread Theory but also to free up some of Morgan’s time to do more designing of fantastic patterns- YAY! So not only will you all get to enjoy my take on all things Thread Theory and sewing on a weekly basis, but it will ultimately mean more Thread Theory fun, more Thread Theory patterns and more projects for YOU! But who is this crazy chick, just suddenly blogging it up at Thread Theory, you may ask? Well, you can get a pretty good idea of who I am at here, which you may already be familiar with since Morgan’s been linking to me regularly (perhaps she’s been secretly planning this for a while and wanted her dear readers to be familiar with me!). I am an enthusiastic and driven intermediate sewist who teaches in a home studio one full day per week, and sews almost every night. I also teach yoga three times a week in Courtenay, work four days a week at an office, and spend a lot of time with my four year old. it adds up to a pretty full, varied and fantastic (if harried) life. I love sewing for myself and my family; and I love adapting Thread Theory patterns to fit a four year old or myself (of course in the case of the four year old it’s more a matter of adapting the style using another pattern).I’ve made, and blogged about, a few of Thread Theory’s patterns, and look forward to making many more. 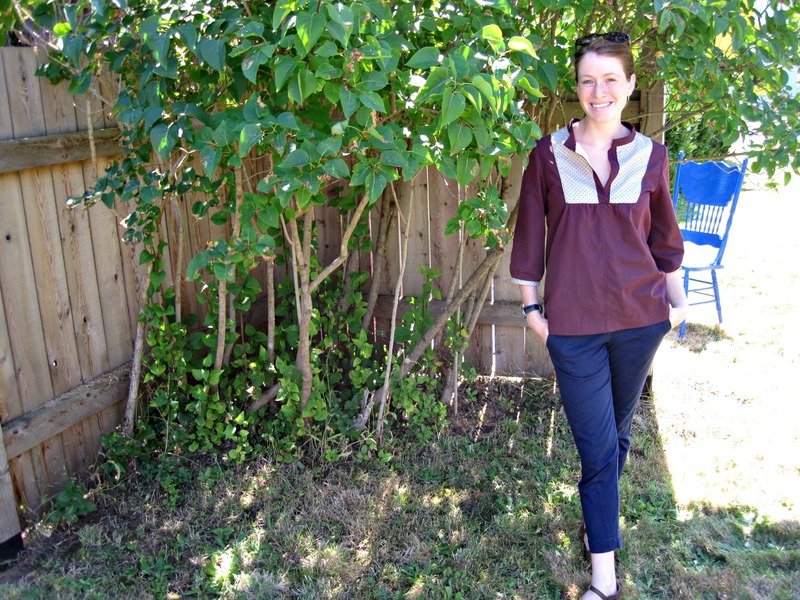 I also love to sew other indie patterns, from Sewaholic, Grainline, Shwin Designs and more. When students ask for suggestions I try to always steer them to indie patterns- not only to support the “little guy” but because I genuinely believe in the quality, design and instructions of the indie patterns. So you can look forward to my weekly posts about my sewing, Thread Theory, teaching, and gathering together what you’ve sewn too! Categories: Uncategorized | Tags: Nicole's Post | Permalink. Haha I’ve done the exact same thing – in fact, I became friends with Mary from Idle Fancy by reading her entire blog, deciding we should be friends, then emailed her and asked. Seems to work quite well! Welcome! Wait, why am I saying welcome? Uh… I hope you enjoy blogging for Thread Theory! 🙂 I’m a Canadian blogger too (in Ontario) so I’m always happy to have more Canadian voices on the web! Thanks for the great post, Nicole! I know I’ll be enjoying reading about your sewing adventures here and I bet a lot of Thread Theory blog readers will too! And thanks for freeing up some of my time to get working on new patterns :D.